In line with some of the economic posts I’ve done on here, I’d like to take a look at a lesser-known section of the economy: barter. I’ll give some history, explore some of the potential difficulties, and illustrate how it might work in a survival situation. Barter is perhaps one of the oldest forms of economic exchange. Before money, most of our ancestors simply traded for goods or services they wanted. If one wanted a bear robe that someone else possessed, the thing to do was to approach that person, and see what you could trade them for the item. The other would indicate his needs (perhaps an oil lamp), and if you had the needed items, you’d make the trade. More recently, the backwoods economy of 16th-19thcentury America depended on barter. Fur traders would take their collection to the nearest trading post, and depending on the weight. Barter has followed us into the modern world. Browse the popular website Craigslist, and you’ll notice the ‘barter’ section. This has numerous postings for trades, such as DJ’s offering their services, different vehicles being traded, or the ever popular stereo system-for-guns ads. Type ‘Ammo’ into the search field and you’ll find dozens of ads. The internet has made barter a real alternative to paying money for goods and services. One can simply post an item, or a want ad, request people to email trades, and many times end up with a good exchange.of his pelts, would get an appropriate amount of supplies in return. Farmers would take their produce and livestock into town, and receive goods from the general store. Native Americans had little concept of money for the first years of contact, and therefore barter was the primary way to conduct business with them. The land which is now Manhattan was supposed to have been acquired for the price of a few strings of beads!There are some drawbacks to trades. If you don’t have a popular item, few people will be willing to trade you for something else. A CD with a 2-hour loop of Rebecca Black’s “Friday” probably won’t get you a USB drive! On the other hand, if you’ve got an overly-popular item, you might get more offers than you were expecting, and end up taking a trade you aren’t happy with. Trading vehicles is a good illustration; if you don’t know cars, you might get a lemon and end up spending money to fix it. Barter will likely be a major part of the economy in a time of economic collapse. If we are assuming a total ‘world collapse’, end of the world type situation, let’s take the internet and newspaper ads out of the equation. Now, we run into several problems which our ancestors experienced, and which led directly to the creation of money. The first problem is what is called a “lack of a double coincidence of wants”. In order for a trade to work, you have to find someone who has what you want, and wants what you have up for trade. Without the internet or social media, this is extremely difficult. The second problem ties into the first: many commodities usually can’t be divided to exactly match the value of the other person’s stuff. For instance, how much food is a car jack worth?? How much gasoline is a sweater worth? This lack of equality adds a level of difficulty to many trades. In the modern day, we usually offer to add some money. In a survival-type economy though, money probably won’t have as much significance or power. It’ll be awfully hard to figure out how many gallons of gas to trade for three pounds of tomatoes. One thing you might consider is preparing some items ahead of time in case of an emergency or collapse. Use this list as a template and try to add to it, especially if you have regional considerations. U.S. Silver dimes, quarters, dollars etc. The ultimate barter item. Pre-1965 U.S. currency is 90% silver and in a collapse will be recognized as such. 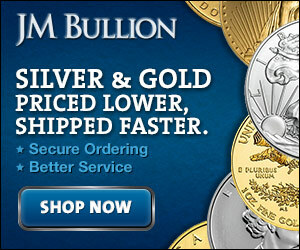 Silver is a great investment all around as it has a high value due to its industrial uses, among others. Alcohol. This would be one of the best barter items in a collapse or simple emergency. Even if you don’t drink, it might be wise to store some for its disinfectant and barter value. Tobacco. While most forms of tobacco don’t store very well (cigarettes), canned tobacco and vacuum sealed tobacco in mason jars generally will. This item is probably one of the last things you should consider if you aren’t a user, since it could be worthless to you. Firearms/Ammo. Like many, I hesitate to put this on the list because unless you really trust who you are bartering with, it could literally backfire on you. That being said common calibers such as .22 LR are inexpensive to procure now and could be extremely valuable in a long term scenario. Water Filters/Purification. Water in any kind of emergency will be highly desired. Having some extra water purification options could come in very handy in a barter environment. First Aid Supplies. Like water, medical supplies could be in short supply. Food and comfort items. Food such as MREs and canned goods that can be stored long term, instant coffee, Tabasco and other hot sauces etc would be good trade items in a collapse. Tools and building materials. Have you ever tried to start a project and realized you were out of nails? Simple items like this will be useful in long term scenarios and short term ones such as hurricanes (boarding up windows). Miscellaneous Items such as soap, salt, and other consumables. Think of all the things you use on a daily basis, if those weren’t available, you’d want to have extra not only for yourself but also for possible barter. Here are some sites with some more barter items you might not have thought of. Despite the drawbacks, barter can still be a useful form of economic exchange. If you can find the person who has what you want, and needs what you have, you’ve likely got a viable trade. Food will always be a hot commodity; ammunition, clothing, and cigarettes will likely be marketable too. For services, medical training and blacksmithing or machinists will be in demand. People may take part in barter on a massive scale in a survival situation. If you are prepping, consider putting away some items (probably food) that are designated as barter items. When the time comes, you’ll have trade goods which you can use to acquire goods or services you need. This could be roughly equated to your savings account-putting away money (barter goods) for future transactions (trades). As part of your preparedness, you might want to practice barter in your daily life, just to get some experience in it. A suggestion would be to find something you don’t use very much, and throw it up on Craigslist (if you upgraded recently, the iPhone 4 comes to mind). See what you can get for it. If the result is something you’re less than attached to, put that item up, and keep on trading. One piece of advice I would keep in mind: research and inspect the item you’re trading for. Don’t get fleeced by someone trying to get rid of junk and get your jewels!